At booking a £100 compulsory security deposit is required which is refundable after the event if terms and conditions are adhered to. All out of hours and weekend events have an additional charge to cover care-taker costs. Please contact Cheryl Hemmings at the vine on 0115 9249700, Send us a email or use our contact page. The Main Hall can accommodate up to a maximum of 150 people. Its available Mondays to Saturdays from 9:00am to 10:00pm. 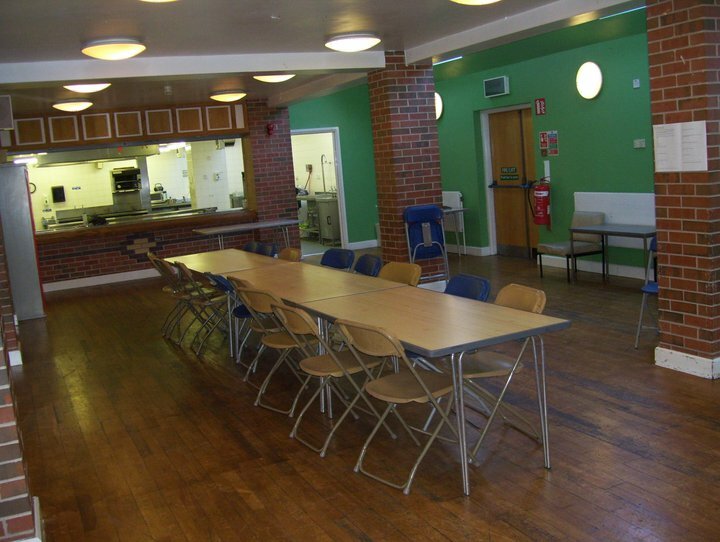 The hall can be used for a variety of purposes. It’s greatest feature is its size, for example it can accommodate a bouncy castle for children’s parties. We have also had many wedding receptions held here which have included wedding and Mehndi Stages. 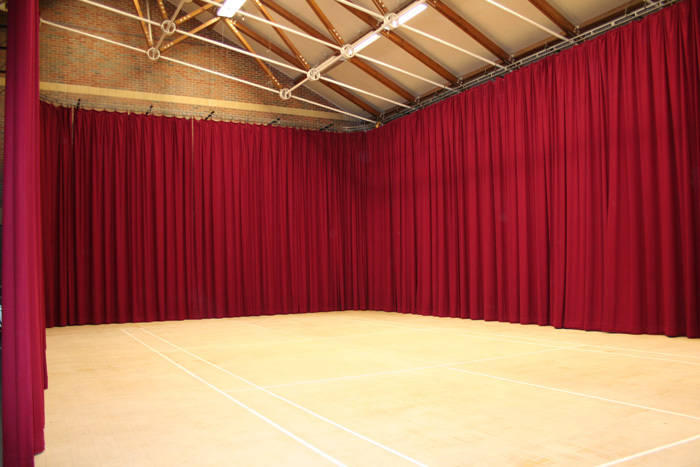 This hall is big enough to accommodate drama classes or sports/exercises classes. Pricing starts from £55 p/h. for private users. The Upper Room can take up to a maximum of 50 people. It is available from Mondays to Saturdays from 9:00am until 10:00pm. 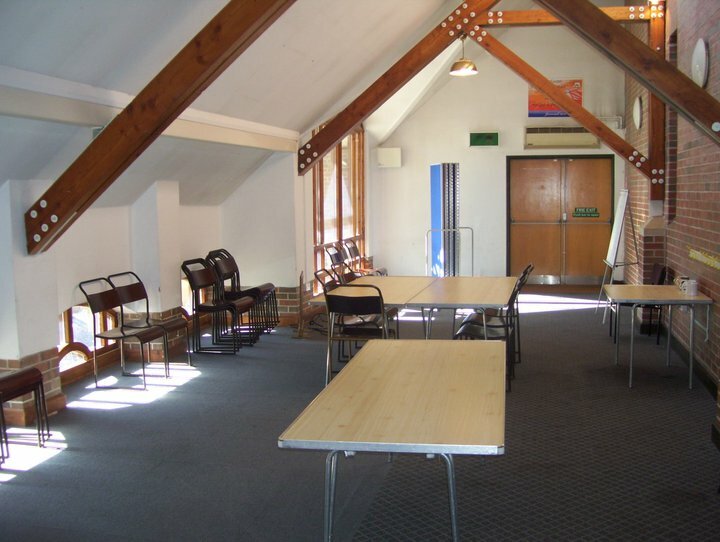 The advantage of the upper room is that it is perfect for discreet meetings, conferences, prayer meetings or training. This room is also accessible via stairs or a lift. Pricing for this room starts at £25 p/h. for Private users and £20.00 p/h for bookings of 5 hours or more. The Barley Loaf can take up to a maximum of 50 People. and is only available after 6pm on weekdays to 10pm and all day Saturday and will only be available for meetings, consultations or classes. Prices start from £25p/h for private users and £20p/h. for bookings of 5 hours or more. The Barley loaf and the lounge can be used together to make a bigger space. If both are used together it can accommodate up to 80 People. 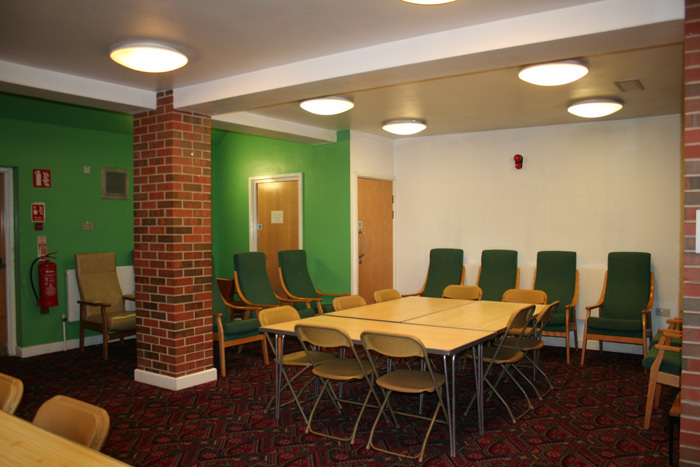 The Lounge can take up to a maximum of 30 People and is only available after 6pm on weekdays until 10pm and all day Saturday and will only be available for meetings, consultations or classes. Prices start from £20 p/h for private users and £15p/h for bookings of 5 hours or more. The Barley loaf and the lounge can be used together to make a bigger space. If both are used together it can accommodate to 80 people.